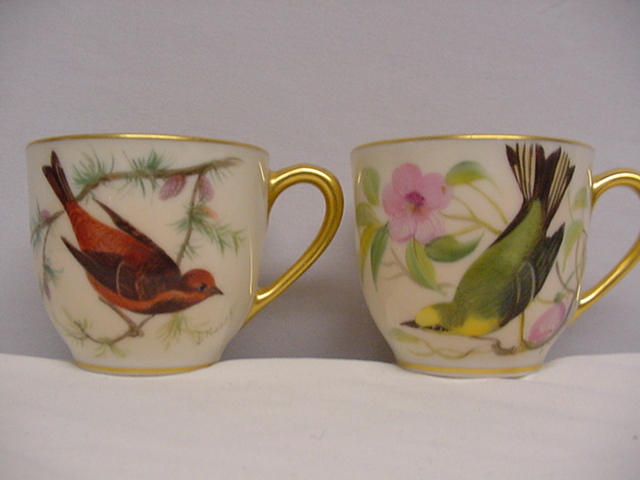 This is a vintage set of TWELVE (12) demitasse cups and saucers made by Lenox. 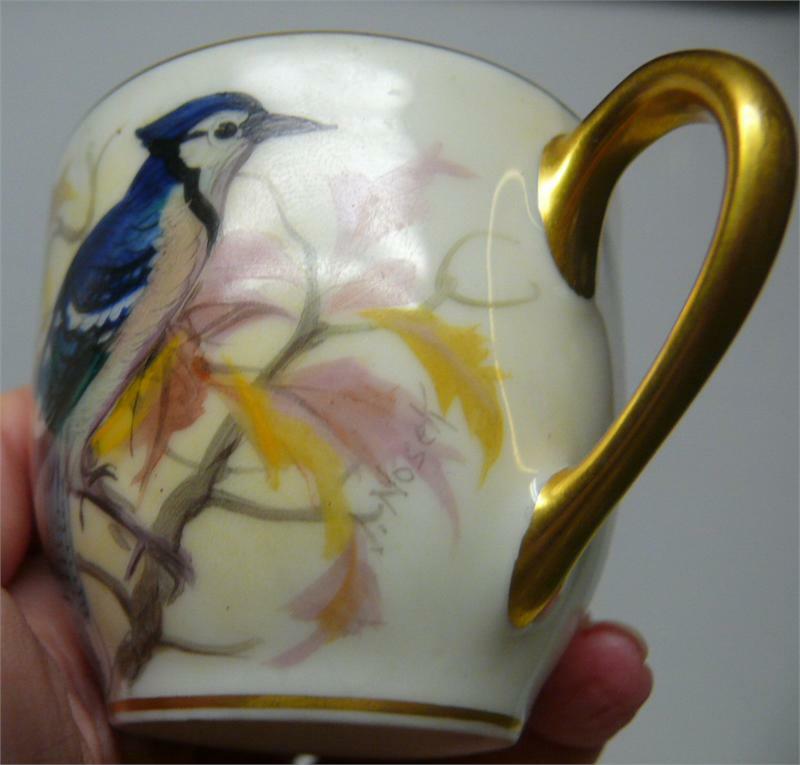 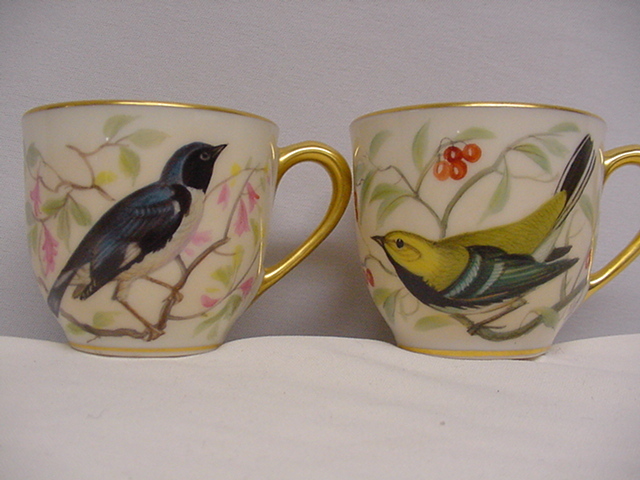 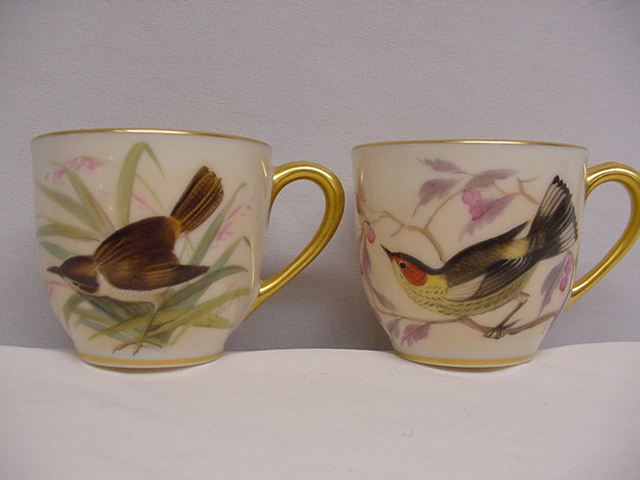 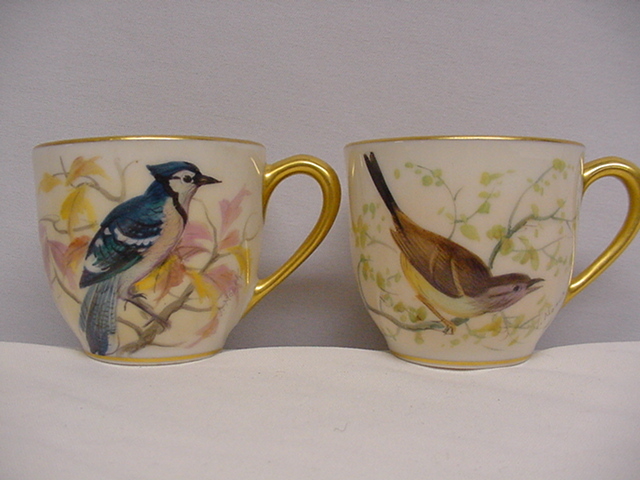 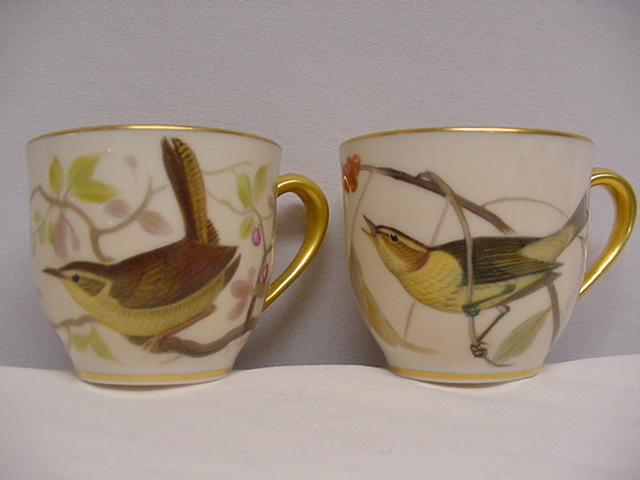 Each has a different song bird painted on it, and all are signed "J. Nosek" (i.e., Jan Nosek, a Czechoslovakian artist who handpainted Lenox wares from 1903-08 and 1939-54). 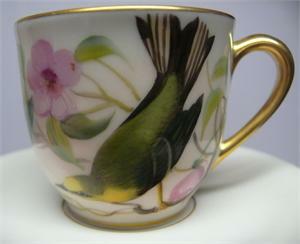 The full pattern/piece number for this design is 1306/T371. 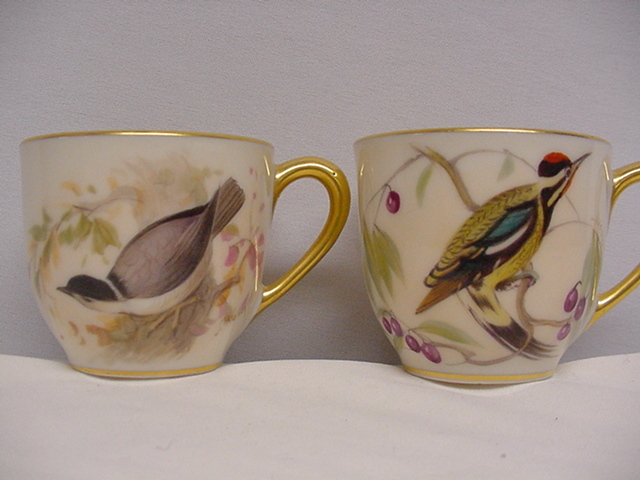 These have a cream background, and gold trim and handles.